In this section we give brief bios of scholars we consider important is scholarly writing and those who make a mark on all of us. We have three such personalities in this Issue 20 of AJFAND. We acknowledge their commitment to AJFAND. Dr Nevin Scrimshaw will turn 90 this year and the ANEC III Conference taking place in African Cairo in the middle of October this year will honor his life and achievements. I am proud to be associated with Dr Scrimshaw. His tenacity has inspired many of us in the field of Nutrition.He just never gives up!!! We love you Nevin. The Africa Nutritional Epidemiology Conference (ANEC) is a leading regional scientific nutrition forum in Africa which seeks to promote the effective harmonisation of efforts to improve nutrition in Africa through scientific dialogue, collaborative research, networking, creating training opportunities for young scientists and practitioners and putting nutrition at the heart of the public health and developmental agenda in Africa. In its pursuit of these goals, ANEC seeks to encourage all peoples, irrespective of their background, origin, religion or colour to emulate the fine example of our teachers and trainers before us who through great sacrifices, have sought to follow the strength of their convictions and toiled to promote the global nutrition agenda and in particular, nutrition and health in developing countries. It is therefore with the greatest pleasure and honour that we celebrate the life and work of Professor Nevin S. Scrimshaw by celebrating his 90th year with him at the next ANEC conference, ANEC III in Cairo, Egypt from 13 to 16 October 2008. Professor Scrimshaw and his contemporaries were the pace setters in international nutrition and even when it was less fashionable in medical practice for some to see nutrition at the very heart of the health agenda, he worked tirelessly to promote such a worthy cause as ours and we owe our current status as a major specialty in the field of nutrition, medicine, public health and indeed human development to the pioneering efforts of this great man. Nevin S Scrimshaw was born in Milwaukee, Wisconsin in 1918 and did undergraduate work at Ohio Wesleyan University (B.A. 1938) and graduate work at Harvard (M.A. in biology 1939). He received his Ph.D. in physiology at Harvard in 1941 and then attended the University of Rochester medical school, receiving his M.D. degree in 1945 and an MPH from Harvard in 1959. Dr. Scrimshaw founded the Institute of Nutrition of Central America and Panama (INCAP), established to study and help solve the nutrition problems of the six countries of the area - Costa Rica, El Salvador, Guatemala, Honduras, Nicaragua, and the Republic of Panama and has since made a huge impact in nutrition globally. Since 1961, Dr. Scrimshaw has been Professor of Human Nutrition at the Massachusetts Institute of Technology (MIT) in Cambridge, Massachusetts where was head of the Department of Nutrition and Food Science. In 1976, he was appointed "Institute Professor" at MIT, a distinguished rank reserved for scholars of special accomplishment to recognize achievement and leadership of high intellectual quality. He was a consultant and regional adviser in nutrition to the World Health Organization (WHO) and became Senior Adviser to the Rector for the World Hunger Programme of the United Nations University when it began in 1975. He is a clinical and public health nutritionist whose current interests relate to the functional consequences of iron deficiency, the effects of chronic energy deficiency on developing country populations, rapid assessment procedures for the evaluation and improvement of programs of nutrition and primary health and nutrition and health issues associated with demographic transition in developing countries. We are proud and indeed honoured to join with the thousands of Nevin’s students who are global leaders today in the field of nutrition and public health in celebrating his work and his life and wish him ever more strength as he moves towards a whole Century not-out!!! 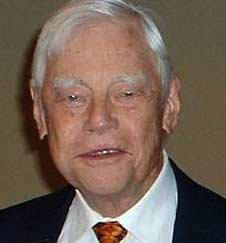 Dr. Scrimshaw contributed original leadership that still continues towards protein nutrition and child health. In his honour, ANEC is proud to announce the Nevin S Scrimshaw Lecture to be a permanent feature at all future ANEC conferences to be delivered by eminent scientists and the Nevin S Scrimshaw Medal to be awarded to deserving scientists. Sue Horton is Professor of Economics at Wilfrid Laurier University in Canada, where for the last four years she has been Vice-President: Academic. Prior to that she spent twenty-two years at the University of Toronto. She holds a BA from Cambridge and a PhD from Harvard, both in economics. Her research focuses on economics of nutrition and health in developing countries, with related interests in labour markets and poverty. She is currently working particularly on the economics of micronutrient interventions (vitamins and minerals), and will spend part of the upcoming academic year 2008-09 as Visiting Scientist at the Micronutrient Initiative in Ottawa. 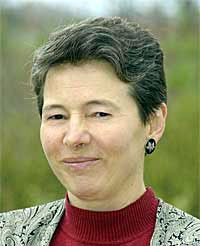 Most recently her research has attracted attention as lead author of the paper on “Malnutrition and Hunger” for the Copenhagen Consensus 2008 (http://www.copenhagenconsensus.com), where a blue-ribbon panel of economists (including five Nobel laureates) ranked up to 50 different development solutions on ten different topics. The solution she and her two colleagues proposed on supplementation with vitamin A and zinc was ranked as the top solution by the panel, and four of her solutions (fortification, biofortification, and deworming, plus supplementation) ranked in the top seven solutions. She is the editor/co-editor of four books, and the author/co-author of more than fifty refereed journal articles and book chapters, with in additional book reviews and technical reports. Selected recent works on nutrition include papers on priority setting for zinc (Public Health Nutrition, 2008), food fortification (Journal of Nutrition, 2006), Sprinkles (Canadian Journal of Public Health, 2006), Iron (Food Policy, 2006), and the implications of over- and under-nutrition for health in Asia (Nutrition Reviews, 2001; Food and Nutrition Bulletin, 2001). Sue has served as a consultant for a number of agencies, including the World Health Organization, UNICEF, the World Bank, the Asian Development Bank, FAO, and the Global Alliance for Improved Nutrition. She is a former Board member (and Vice-Chair) for the International Food Policy Research Institute, and currently Treasurer of the Board of the African Economic Research Consortium. She has worked in over twenty different developing countries, including (in Africa) Kenya, Tanzania and Ghana. Dr. Meleckidzedeck Khayesi is a social scientist with PhD and MA degrees in Geography, and a specialization in transport and road safety. As a researcher, his career evolved systematically: he first worked as an academic research assistant, became a co-principal researcher, went on to become a principal researcher, advanced to become a research coordinator and now, in his present position, manages multidisciplinary research and project teams. Transportation, focused on sustainable transport, road safety, public transport, network analysis, household travel characteristics, liveable streets, freight transport and logistics, non-motorized transport and paransit transport sector represent his primary areas of research interest while sustainable development, trade and development interventions constitute his secondary areas of research interest. As a researcher, he considers these two realms as being complementary and examines them within an integrated theoretical and empirical framework in an effort to address the dynamics and complexities of institutional context, planning, policy-making and the socio-economic environment in relation to these issues. After being a lecturer at Kenyatta University for 11 years, Dr Khayesi joined the World Health Organization in March 2002, where he now works on the implementation of a road safety programme which involves supervising intervention projects in countries; facilitating the production of research reports, guidelines and fact sheets; giving technical assistance to research networks; providing expert advice to governments and organizations; writing project proposals; organizing expert consultations; developing training materials; preparing reports and briefings; disseminating information; and coordinating the development of a network of road safety NGOs. 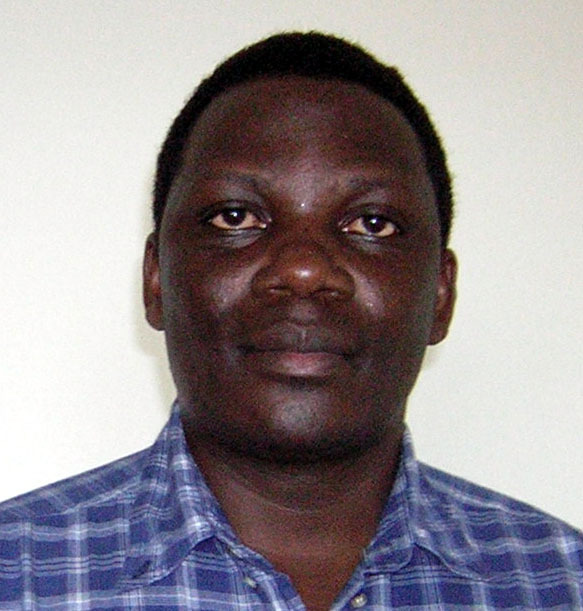 Dr Khayesi has extensive experience with journals having worked in different capacities: assistant editor, reviewer and a member of editorial boards. He has published in such journals as Climatic Change, East African Research and Development, and World Transport Policy and Practice.